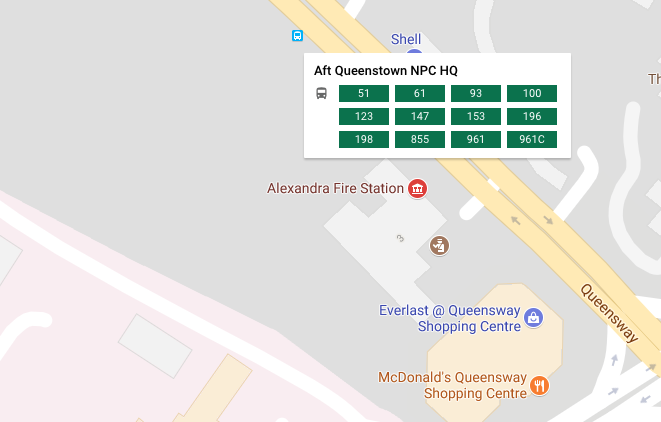 Bus Stop – after Queenstown NPC HQ (Stop #11021), Bus Number 51, 61, 93, 100, 123, 147, 153, 196, 198, 855, 961(C). 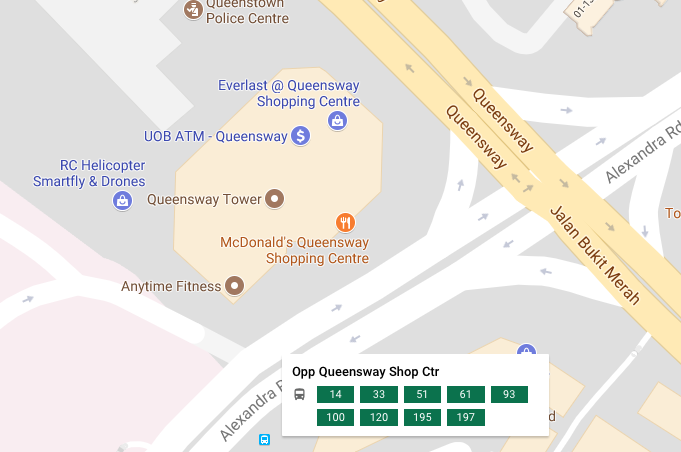 Bus Stop – Opposite Queensway Shopping Centre (Stop #11519), Bus Number 14, 33, 51, 61, 93, 100, 120, 195(A), 197. 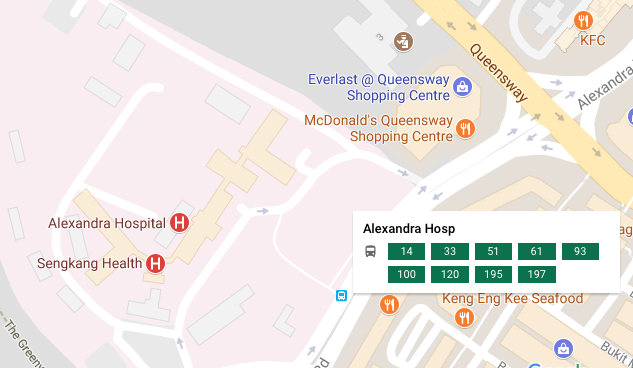 Bus Stop – Alexandra Hospital (Stop #11511), Bus Number 14, 33(A), 51, 61, 93, 100, 120, 195(A/B), 197. 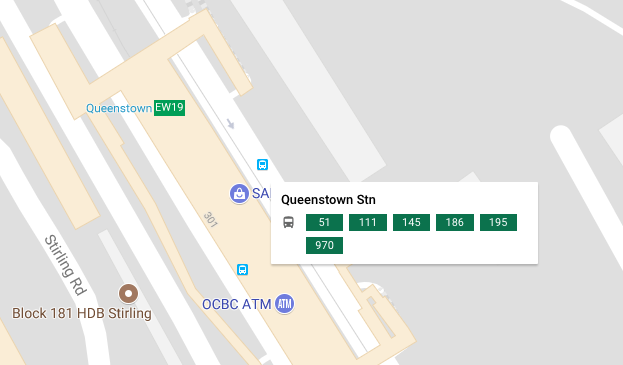 MRT – Queenstown (EW19), transfer to Bus Number 51, 195(A/B). 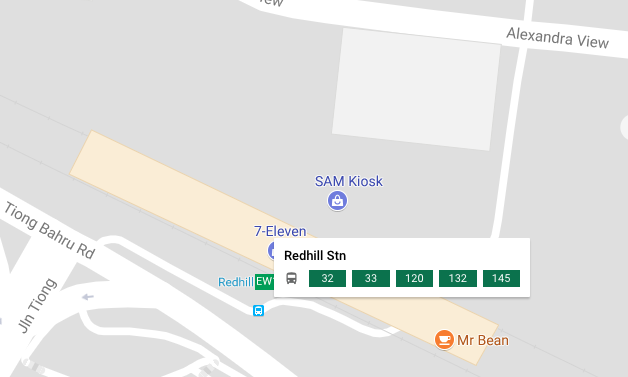 MRT – Redhill (EW18), transfer to Bus Number 33(A), 120. 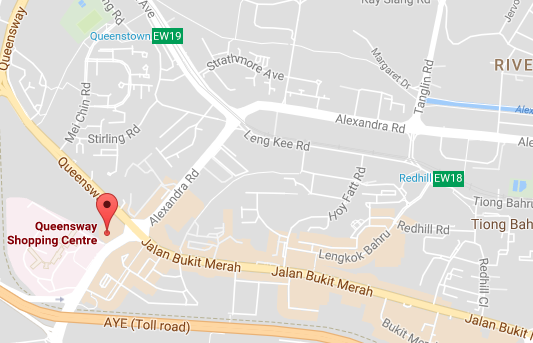 Approximately 10-15 minutes walking distance from both train stations.